On What Will We Do, Lula Wiles channel infectious energy and bold insight into music that strikes with purpose. The band fosters contradiction, embracing the spirit of traditional American music, yet unflinchingly calling into question the virtues of the culture that produces it— country songs that shine a light on a country’s crimes; love songs about being alone; murder ballads that challenge the standards of morality. 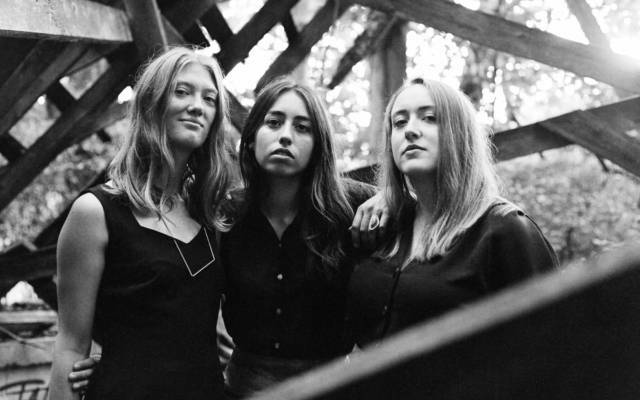 Lula Wiles exist in the tense space where tradition and revolution meet, from which their harmonies rise into the air to create new American music. Lula Wiles began in Boston in 2013, when the band members were studying at Berklee College of Music and playing opening sets at Club Passim. Since then, they’ve toured internationally and recorded two albums. Their sophomore album, What Will We Do, will be released January 25th on legendary folk label Smithsonian Folkways, and Lula Wiles will bring the music from the new album to Oberon on February 3rd. They will be joined by Sean Trischka on drums. Folk-rock-punk-pop duo Mattie & Debbie will support.